Laser cut wood earrings. 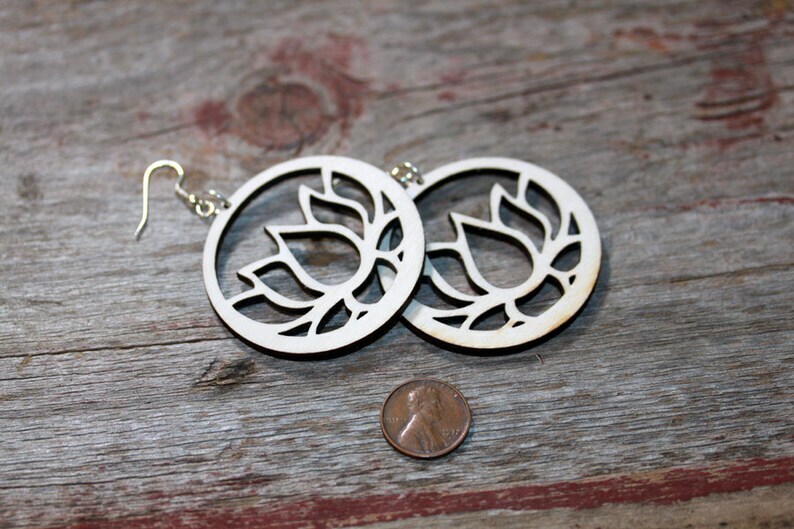 These are the large birch wood lotus earrings. All earrings come with silver colored surgical steel ear wires for those sensitive ears!​ The birch wood is a stronger durable wood and should last you a long time as long as you take care of them. Again this listing is for the larger birch wood lotus pair.